The global technology boom may have improved our lives and connected the world, but it has also caused an epidemic of “Text Neck” and contributed to some serious health problems. New York spine surgeon Dr. Kenneth Hansraj published research in 2014 measuring the effects of forward head posture on the cervical spine and found that a normal 12 pound (5.4kg) head can weigh as much as 60 pounds when bent forward (27kg). Imagine walking around all day with a child wrapped around your neck! Anterior Head Syndrome (AHS) has been linked to conditions like spinal degeneration, disc disease, abnormal curvatures of the spine, headaches… even respiratory problems, depression and reduced mortality. With the trillions of text messages sent worldwide each year and the excessive time spent staring down at our devices, this problem isn’t going away. In fact, our teens are at increased risk as many spend 2000 hours or more per year exerting unhealthy stress on the spine from smartphone use alone. Movement is life. Every joint in the body must move properly to maintain its health and the function of the tissues around it. In addition, regular movement stimulates blood flow, boosts the immune system, reduces inflammation, helps regulate endorphin release and feels great. This applies to adults but especially children and teens. Keep the majority of time spent on your device for productive work, minimise mindless browsing and take a full day away from your phone every week. 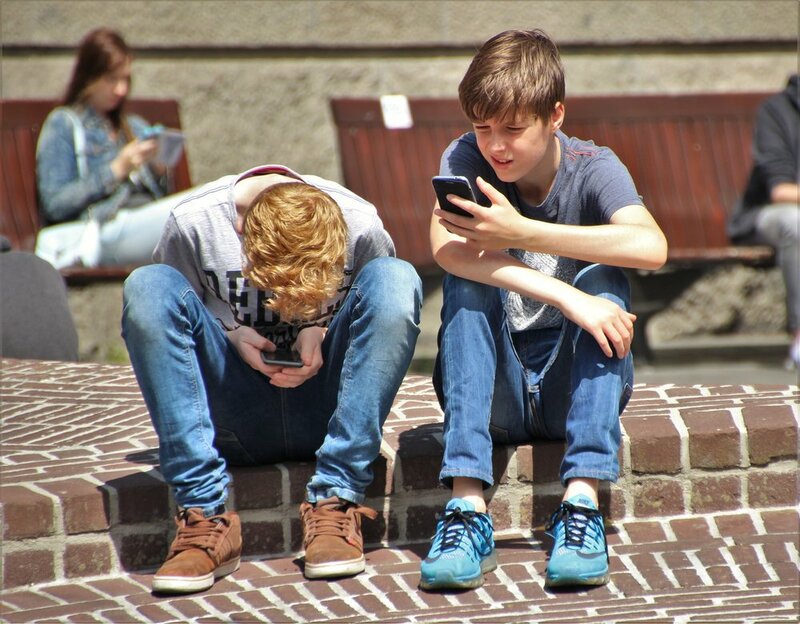 We recommend all children, teens and adults using smartphones or computers have their structure examined for evidence of spinal issues. For better or worse, it’s a sign of the times. Technology is here to stay and so are problems like Tech Neck. This significant health issue and many others caused by the introduction of our new lifestyles are on the rise and we’re only just beginning to see the potential impact of these stressors on our quality of life, longevity and happiness. Dr. Ryno Tope is a Doctor of Chiropractic, a member of the New Zealand Chiropractic Association, and owner of Structural Chiropractic in Hastings, Hawke’s Bay. Dr. Tope focuses on an area of chiropractic called Structural Correction and has been in practice for 6 years. You can reach Dr. Tope at drryno@structuralchiro.co.nz or 06•651•1004. You can also follow the Structural Chiropractic Facebook page (www.facebook.com/StructuralChiropracticHB).